My favorite things to share, whether on the blog or on my social media account are useful things with a twist. I don’t encounter them every week, but when I do, I cannot wait to spread the word and shout out “Good job!” to those who have put them there. I have a few previous posts that are by all means useful. You can check them out here and here if you happen to like this one. And if you do, do not forget to let us know (it is always so fulfilling to get positive feedback) and share it with your own network. 1. BugMeNot – is an incredibly useful website. What it does is give you access to shared sign in credentials (username/email and passwords) so that you don’ give your details to all the websites you want to check out. This is especially useful as websites now monetize their content through selling their email list to advertising companies, so signing up to a free website, as useful as it might be, will fill your inbox in no time. The downside is that not all the passwords do still work, and not all the websites are yet covered. nonetheless, for the big websites you have plenty of options to chose from. 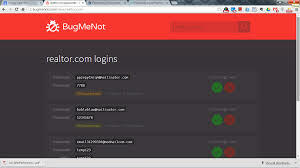 To use it, go to the website and type in the website address and get your bug free sign in details. 2. 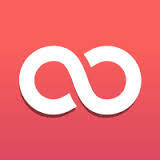 Soon – this is an app I’ve been using for the last week. First heard of it from Kevin Rose’s monthly journal which I highly recommend. What it does is help you mark down the websites, movies, books, podcasts or restaurants you plan on checking out. Nonetheless, it is more than a notebook as it allows you to check what others are planning to check out in a “trending” section organized by category. thus you can watch the movie trailer directly in the app, or even listen to trending podcasts (my favorite section). 3. 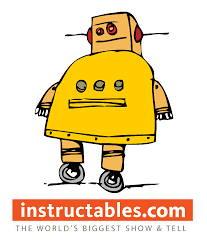 Instructables – is a website for creative and crafty people that would like to spend some time building their own interesting and twisted DIYs. It allows you to download the instructions or to view them online. It also works as a sharing community, if you log in you can join groups, share your own instructions, publish articles or like and share others’. Don’t forget to sign in via BugMeNot (testi88/hans34). Enjoy our gems and happy Tuesday!